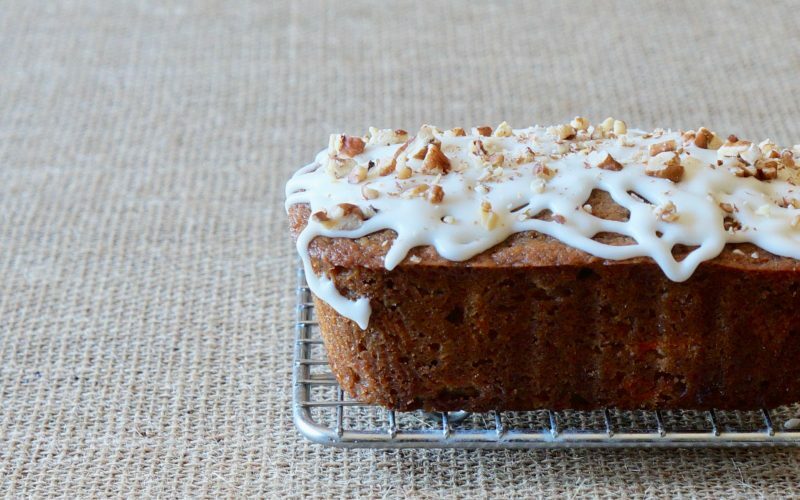 Mini Buttermilk Carrot Cake Loaves make an eye-catching addition to Easter table place settings. 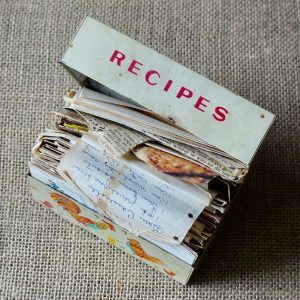 They may be baked several days in advance then wrapped making them a lovely surprise for guests when it’s time to be seated. 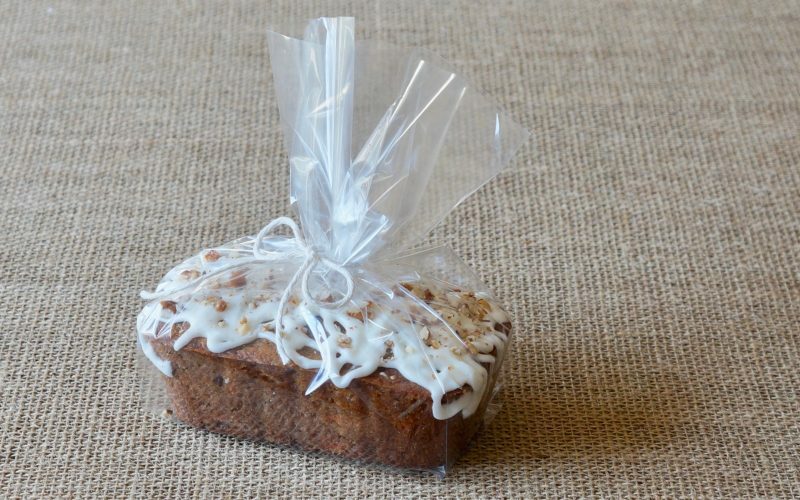 Conversely, the little cakes make thoughtful hostess gifts or party favors for spring parties. Learn how to package these irresistible sweets that may be used in a variety of ways. Preheat the oven to 350 degrees. Combine the brown sugar, the buttermilk, the butter, the lemon juice, the vanilla & the egg in a large mixing bowl. 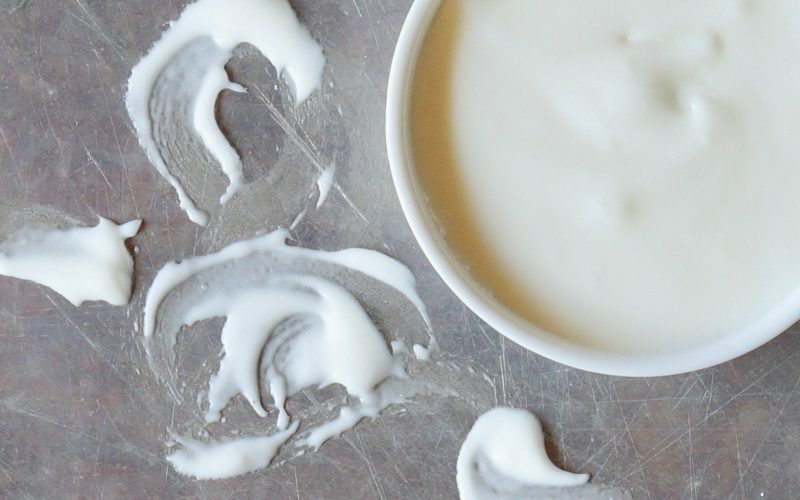 Blend on Low speed with an electric hand-mixer just until combined. Whisk together the flour, the cinnamon, the pumpkin pie spice, the baking soda & the salt in a small bowl. Add to the buttermilk mixture all at once. Blend on Low speed just until combined. Fold in the carrot using a rubber spatula. Portion the batter between 2 lightly greased 3 1/2 x 6-inch miniature loaf pans. Place the pans on a quarter sheet pan & drop it about an inch from the countertop surface three times to settle the air bubbles to ensure an even rise during baking. Bake 45 minutes or until a wooden pick tests clean. Let stand 5 minutes. Remove the cakes from the pans. Transfer to a wire rack to cool completely, about 1 1/2 hours. Prepare the Cream Cheese Glaze as directed & drizzle it over the cakes. Top with chopped toasted pecans. Let stand until set, about 1 hour. Simple style elements are always appreciated when lovely gatherings have been planned. 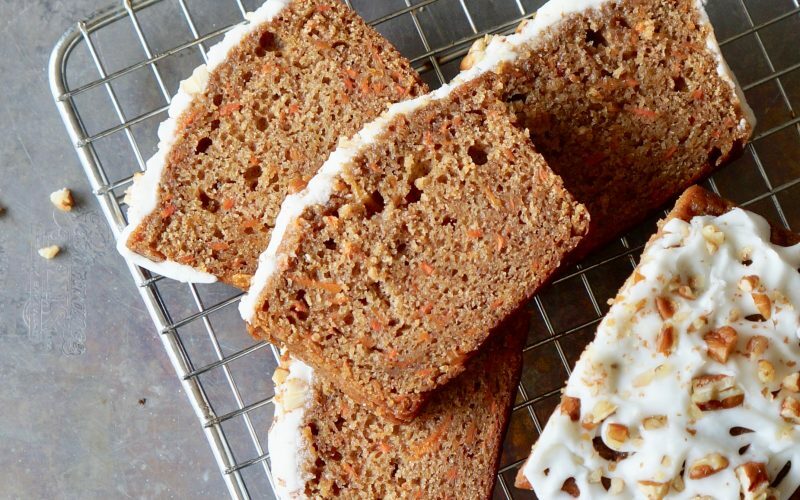 Mini Buttermilk Carrot Cake Loaves not only offer a seasonal touch but they taste wonderful. Enjoy them for breakfast, dessert or a decadent snack. Once the cakes have been drizzled with the glaze, allow to stand at least 8 hours in order for it to set. Gently slip the cake into a clear cellophane bag. Tie the package with twine or ribbon. Add a tag & a message, if desired.